As with liver and kidney ailments, successful treatment rests on correct assessment of the symptoms. Not all of these signs will manifest, but a majority of them will. There are a few cases wherein the patient will exhibit no symptoms at all. But most will experience pain in the abdomen. The ache is usually at the upper area. In some cases the pain is felt at the upper left side. Often the sensation moves around the stomach and into the back. The duration of the pain varies. In severe cases, the sensation will require hospitalization. Some patients report the pain is most acutely felt in the neck. 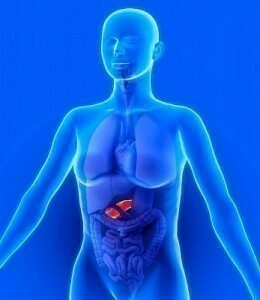 In cases of pancreatic cancer, there is going to be weight loss. Other major symptoms are vomiting, abdominal swelling and low blood pressure. A slight fever is often registered. The arms and legs will feel cold to the touch. The mental faculties may also be affected. Infections could also arise. The doctor will first analyze the symptoms as reported by the patient. An appraisal of the patient’s physical appearance follows. The doctor looks for signs of swelling. Blood tests will also be necessary. The objective is to look for enzymes that appear when pancreatitis or infection sets in. Other examinations will include a CT scan and ultrasound. These tests are used to determine if there is blocking or any high lipids. People over 60 who experience sudden weight loss should undergo CA19-9. This examination looks for any cancer signs. The ERCP evaluates the pancreas for any signs of swelling. This test is also used to check for tumors. Treatment is usually done by way of needle injections. These are placed in the vein. The contents of the IV solutions vary. But most of them have salt and sugar. Other essential chemicals are also included. 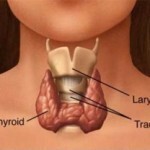 These are placed in the body to regulate the chemicals in the blood. Different types of medication and relievers are given to reduce the pain. In severe cases, the gastrointestinal tract will be damaged. In this case the patient will be fed intravenously. Only when it is repaired will normal eating habits become possible. Surgery will be performed if the pancreas can no longer be saved. Currently there is no guaranteed way to keep these problems from occurring. Pancreatic cancer in particular has no known cause. But doctors do suggest that drinking alcohol be limited. Studies have shown that heavy drinkers are more susceptible to pancreatic diseases. Quitting smoking is another preventive measure. The links between the pancreatic degradation and smoking isn’t too clear. But it’s known that smoking causes havoc on most body organs. 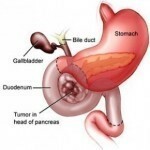 People should also take care of their gallbladder as problems there could reach the pancreas. There is a lot of research going on to discover the causes of pancreatic problems. For now, people should keep an eye on the symptoms. If any of them manifest, he or she should go to the doctor immediately.